So as part of my new year resolution for 2014, I'm going to be documenting our day to day life through iPhone pics. I got this idea from Shay over at Mix and Match Mama. The days are flying by so quickly and I know that I will always look back at this time with my babies fondly so I want to really capture all the little things. Happy New Year. 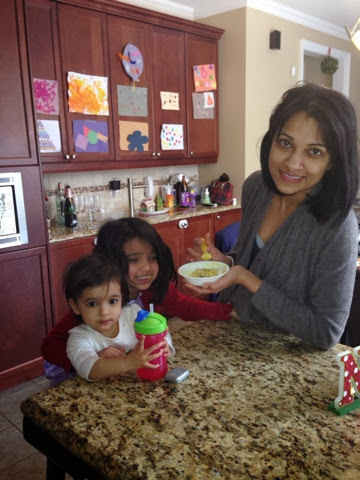 Here I am feeding my babies dhal and rice. Anjali was a fan. As you can see by the grimace, Cass not so much. Day 1 was apparently also the day we lost all the hairbrushes in the house. My beautiful Elsa. 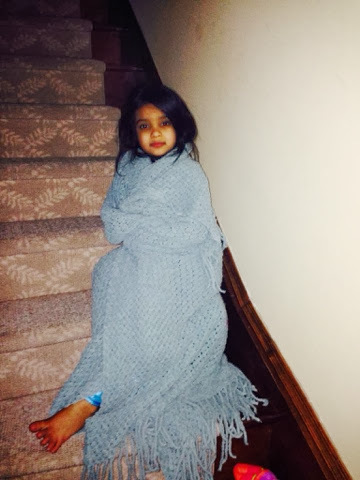 She has been wearing her long nightie and a blanket as a cape and pretending to be Elsa from Frozen all day long. 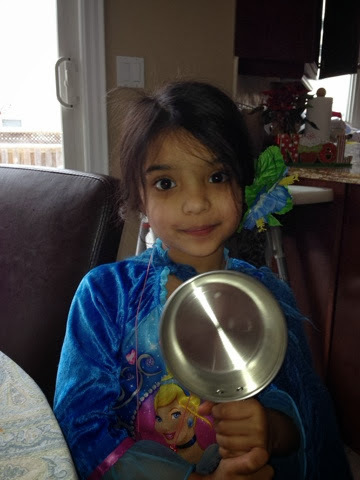 Elsa was apparently cooking. 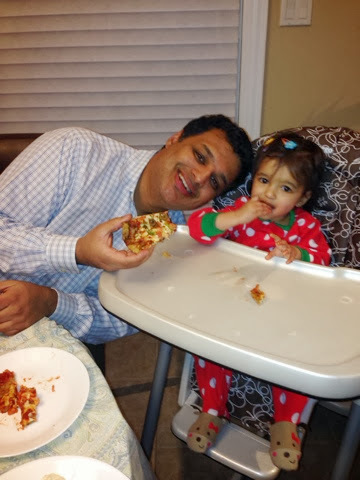 Day #3- Pizza night!! I also made home made oven baked wings for the first time- yum! 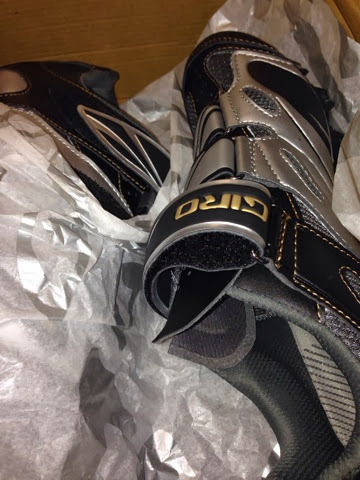 Day #4- Upon my workout buddy Dani's insistence, I got spin shoes. Life will never be the same. Now if only I can figure out how to snap them into place easily. 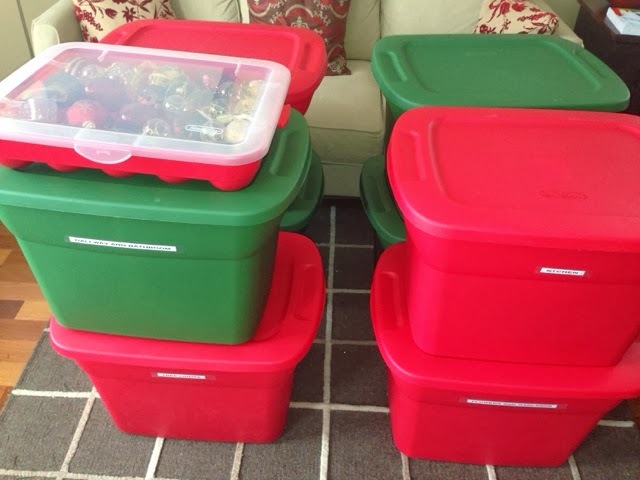 A sad day, as all my Christmas decorations were packed away. On the upside, there's less clutter around. This was also the snowiest day of the year so far- I believe we got 25-30 cm easily. Day#6- Our sugar detox begins! 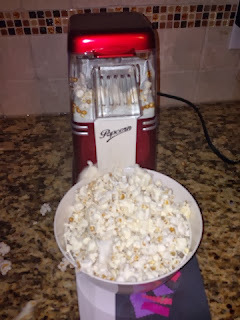 Also the day we first used our popcorn maker that D's mom gifted us with. We've been meaning to get one for a while now, as I've been keep coming across lots of articles about how bad microwavable popcorn is for you. 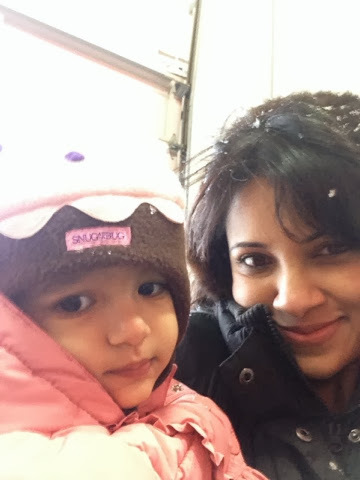 Day # 7- The coldest day EVER. Seriously, it broke records as the coldest Jan 7th in Ontario. Cassia is all bundled to go up to bed-- please take note of the bare foot though--- Elsa doesn't wear socks.